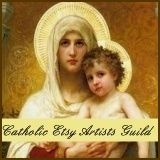 It seems like time has flown since I was accepted as a sponsor/vendor for next week's San Gennaro Festival in New York. I have been working from sun up until the wee hours of the night making jewelry for this event. It has been a lot of work but I'm not complaining. Thankfully, I love to make jewelry! 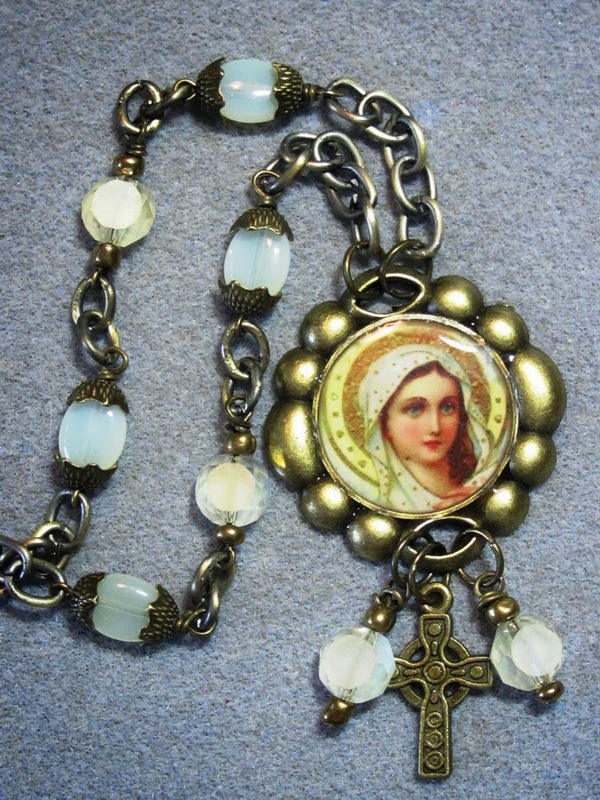 Virgin Mary - made with new and vintage moonstone-style beads. 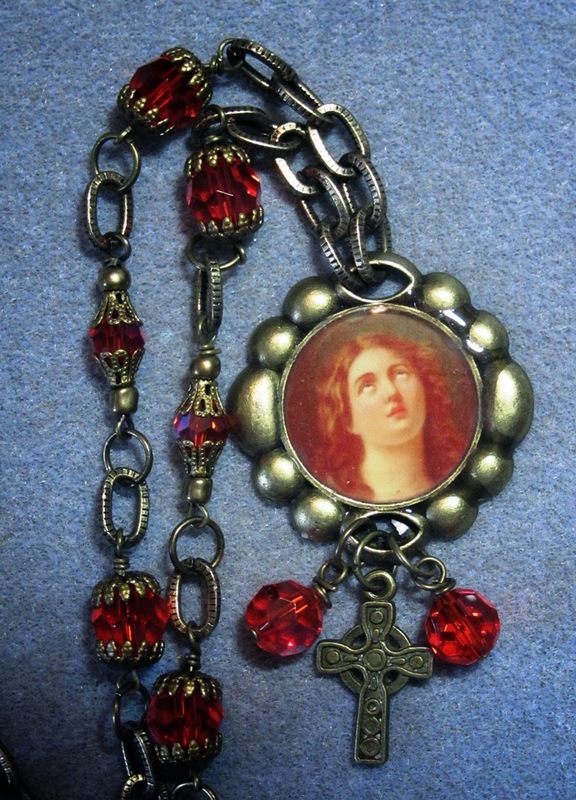 St. Mary Magdalen - made with Czech glass crystals. 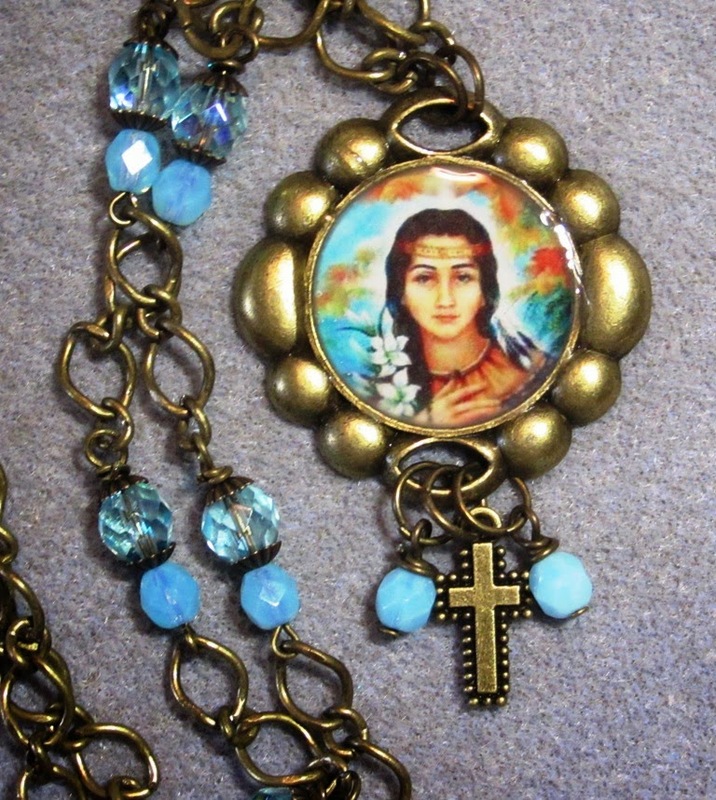 St. Kateri Tekakwitha - Made with Swarovksi crystals. 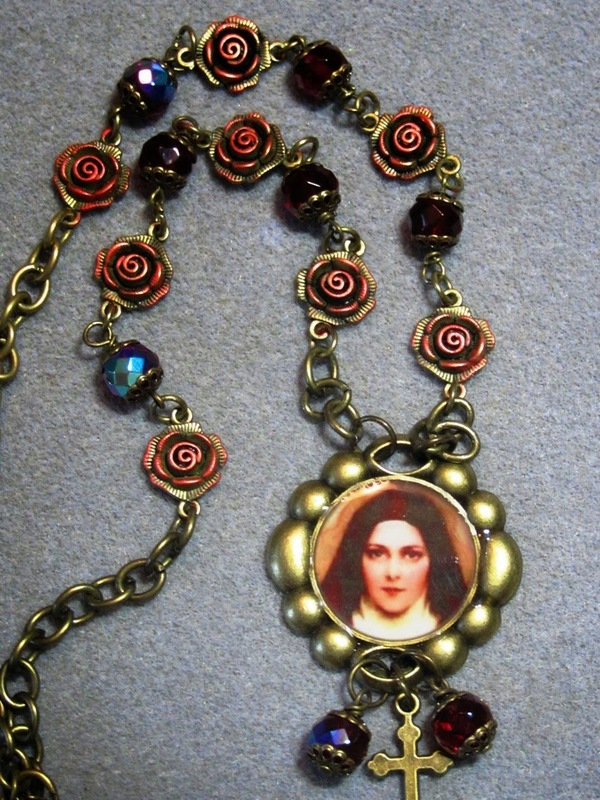 St. Therese of Lisieux - made with hand-colored metal rose beads and crystals. 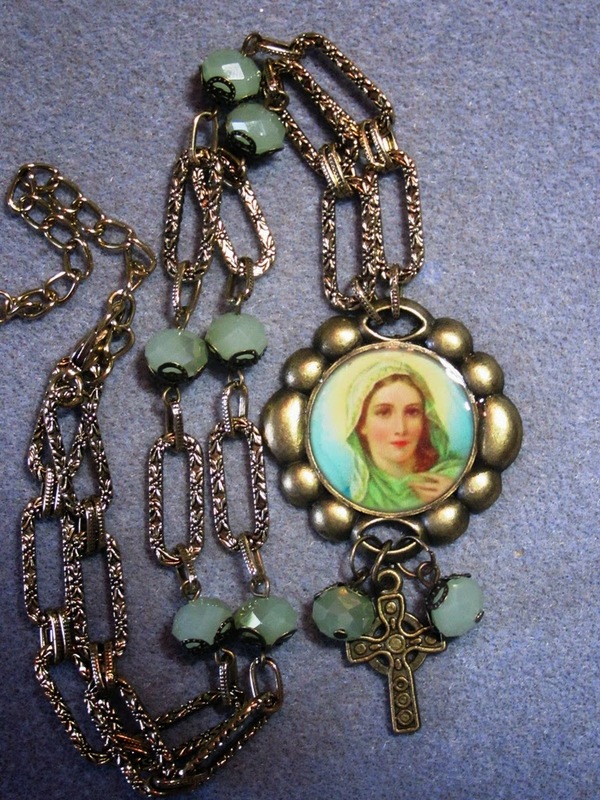 Virgin Mary - made with green jadeite milk-glass style crystals. 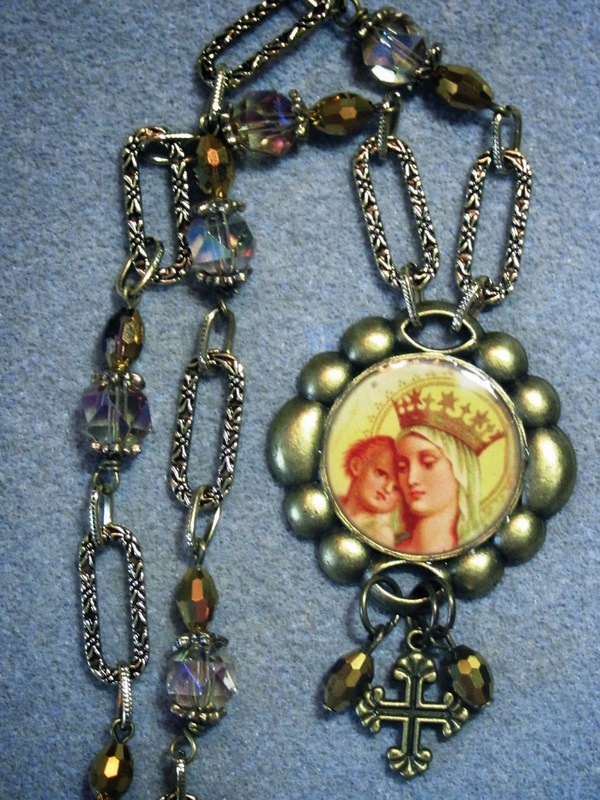 Virgin Mary - made with bronze metallic and champagne colored crystals. These are just a few of the necklace variations made for the event. All have adjustable necklace chains. If time permits before I leave for NYC in a few days, I will post a tutorial or two on coloring and enameling metal jewelry pieces.